Have you noticed my new blog redesign? Do you like it? I had been working on a redesign when my old laptop crashed, and now that I have my new laptop I have finally gotten around to finishing it! 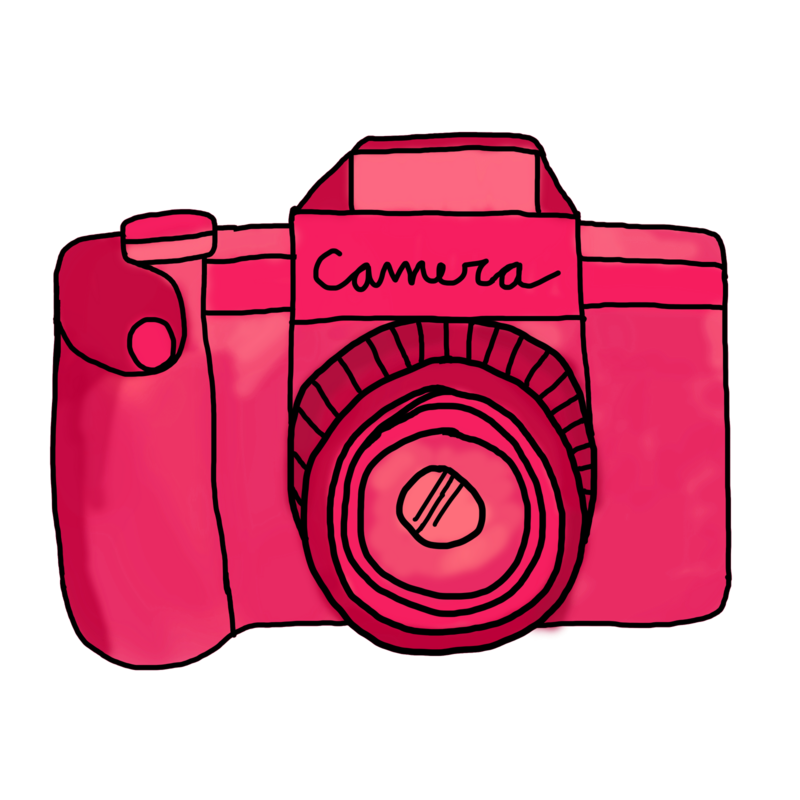 Or, if you want to use just the camera on something, maybe cut it out and use it as a sticker? You can download just it. p.s. I love the new blog design! Thank you so much for this post. I want to let you know that I posted a link to your blog in CBH Digital Scrapbooking Freebies (please, notice the new url for my blog), under the Page 1 post on Jul. 04, 2012. Thanks again. Thank you for sharing this super cuteness!!!! all your creations are nice, you're so creative! Thanks Katie! I just found this and it's super adorable.